Posted by GuySoft in Crictor, diy, Hamakor, ITU, linux, open source, programming, python. During last semester I developed a set of scripts that lets me photograph pictures of the blackboards during my university courses, categorize them while I am taking them and automatically generate PDF document for each course week. Because physics equations are not the simplest things to input in to a laptop in realtime, I have developed the following method. I am writing the post because I have a feeling this tool could help people in many ways, since it did change how I study in lectures. You can see my blackboard photographs here (and here is a simple pdf example, if you get lost in the Hebrew). During the lesson I take the photographs of the blackboard with a script I wrote for CHDK. In the script you set the course and week of the semester and this is stored per-picture on the SD card. Posted by GuySoft in Astronomy, Crictor, diy, Hamakor, ITU, linux, open source, programming. I am going to explain here how I managed to use the Cannon open source hack development kit , known as CHDK, to photograph stars and even create neat movies of the stars motion. It all started this Monday, I was lucky to see that there is going to be Perseids meteor shower, a day in advance. So I had time getting the code ready before it was too late. I thought I would go somewhere next to Jerusalem and photograph, but in the end, friends of mine (Shy and Anna) from the Israeli Astronomy Association, which I am part of, told me they are going down south to the dessert, far away from light pollution, to take count of the meteors for the IMO. So I joined him, and my data is also available. Now back to CHDK, and how this was done. 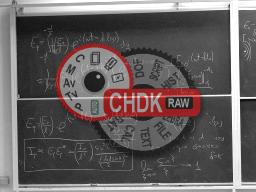 What is CHDK? And how do I install it? CHDK is a firmware addon for Cannon powershot digital cameras. It supports most of them, mine is a simple powershot A590, costs to date about 700 NIS. Moreover, since its an addon, it will not void warranty, and can’t damage your camera. It has a lot of features (including games and an e-book reader! ).